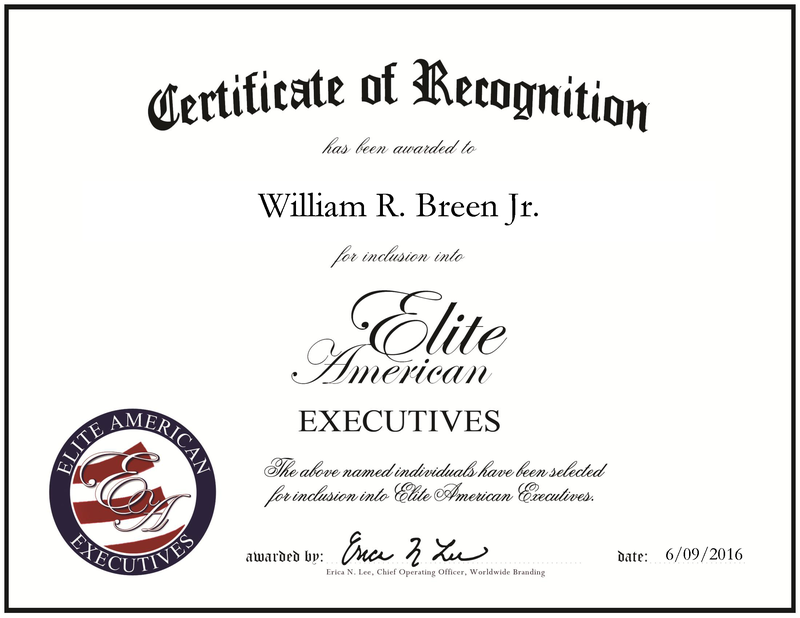 Memphis, TN, June 9, 2016, William R. Breen Jr., Senior Vice President and Methodist Lebonheur Healthcare, has been recognized by Elite American Executives, for dedication, achievement and leadership in health care organization. Demonstrating more than 30 years of industry know-how, Mr. Breen attributes his success in the health care industry to his passion to do the right thing and ambition. Prior to assuming the role of senior vice president, he ran a managed care division. He was recruited to join Methodist Lebonheur Healthcare from Health Choice, LLC more than six years ago. In his position, Mr. Breen strategically plans, builds relationships and manages operations. He must also be attentive of the budget as he manages 250 physicians in 40 locations. Mr. Breen attended the University of Louisville and received a Bachelor of Business Administration. He continued his education at the University of Memphis to earn an MBA. At the time, Mr. Breen is pursuing a doctoral degree in health services administration from the University of Alabama. His interest in health care started early, as he had always loved the profession. Since entering the field, he worked through the ranks and his success in his career path was a natural progression. Looking toward the future, Mr. Breen aims to complete his dissertation and endeavors to work in research and education. He is a fellow of the American College of Healthcare Executives. In addition, he maintains affiliation to the Medical Group Management Association. In 1999, he was distinguished as one of the Top 40 Under 40, and has also been a runner-up in the Memphis Healthcare Heroes. Contact William R. Breen Jr. This entry was posted in Health Care, Research and tagged business administration, education, health care, healthcare, managed care, MBA, research. Bookmark the permalink.